Hello have been happily using pycharm for the last year and was just about to renew my subscription but in the last week pycharm stopped stopping at my breakpoints when debuggin! 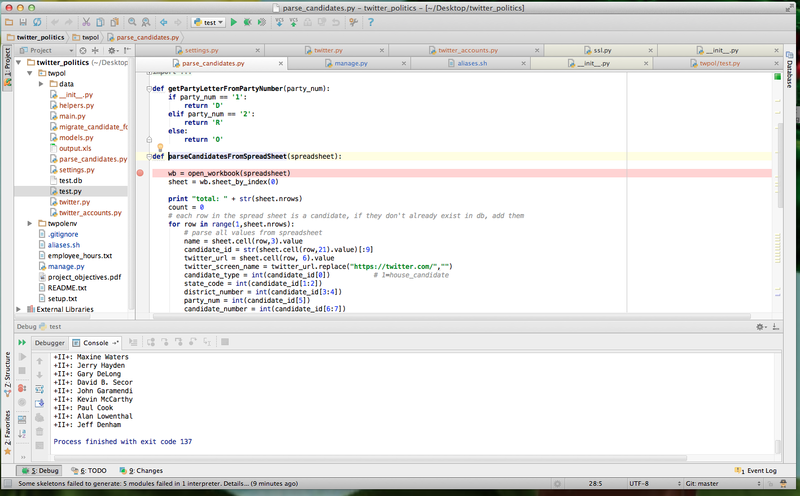 I am debugging a file called test.py, which calls a function defined in a file called parse_candidates.py . If I put a breakpoint in test.py it will stop at the breakpoint, but it is not stopping at any breakpoints I put in the functions it calls in parse_candidates.py. I have walked through the code in the functions using step into and step over (starting from a break point in test.py) so I know it does pass the breakpoints, it just doesn't stop at them. 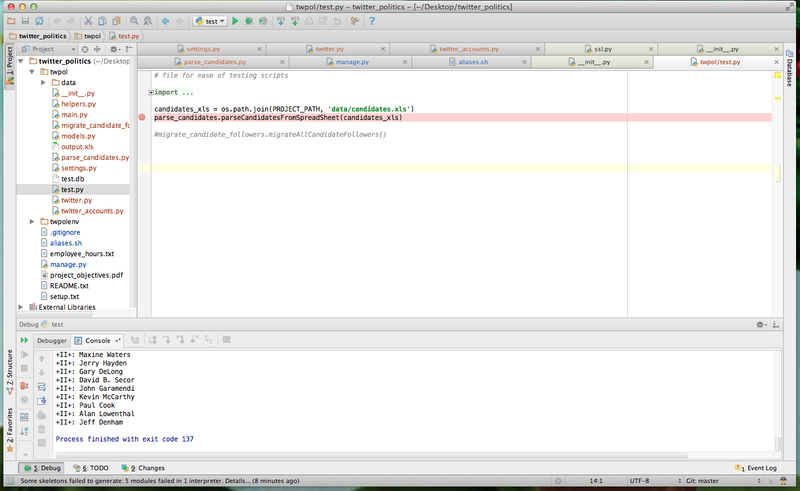 So far I tried deleting PyCharm cache in ~/Library which didn't help. Could you please provide more details about your problem there, namely Python version and OS, console output after settings envoronment variable PYCHARM_DEBUG = True to your run configuration and running your programm. Also attaching a sample project will help to reproduce the problem. Hi Dmitry, I added this info as comments to the issue you linked to.